Holiday deadlines are fast approaching and we want to give you plenty of notice so we can help you get your gifts ready on time. We're happy to work on charts for you after these dates and we'll do our best to get them to you in time, but there may be rush fees or expedited shipping charges. If you can't decide what you are looking for, check out our new Gallery. You may also find inspiration on our Decorative Chart Pages or in the charts section of this blog. Virtually anything you can dream up, we can design. Just send us your information for a Free Consultation and we'll have your own personal designer send you some options. Or if you are an Ancestry.com or FamilySearch user you can use our new Ancestry Upload Page, or the FamilySearch Upload Page. We want to make it really easy for you. We recently created a chart for a wonderful lady that was donated by an anonymous benefactor. We had so much fun participating in this generous act of kindness, and spoiling this sweet client with lots of attention and making sure she received exactly what she wanted. Please know that we love helping you with stealthy gift giving. We'll treat anyone who receives one of our gift certificates like a VIP. And if you want to design a chart yourself to give, we'll work back and forth with you over a private email account, leave the invoice out of the package, and ship to alternative addresses. When you give the gift of a chart we'll do everything we can to meet your deadline and make it perfect. And the gift certificates are an instant download. Let us know what you need us to do to keep this gift a surprise and we will make your special person feel well taken care of. We love making you look good and we are really awesome at keeping secrets. 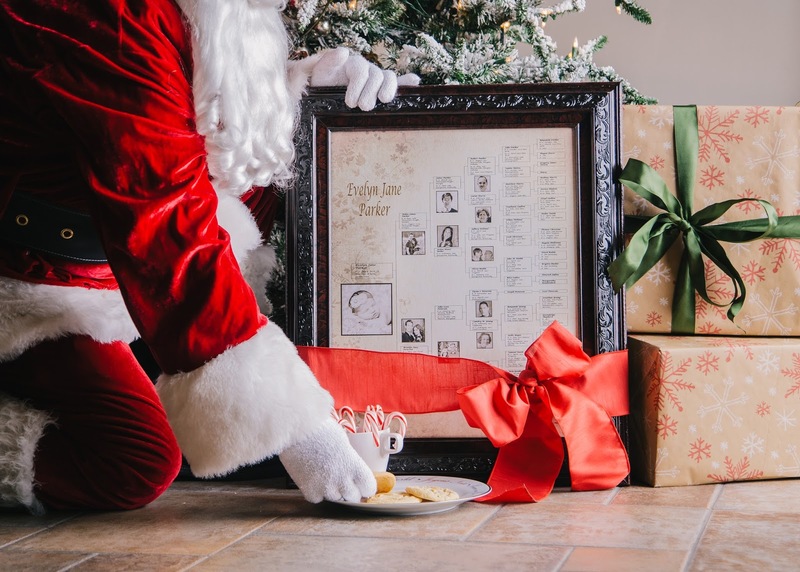 Think of Family ChartMasters as your undercover gift giving elves; making it easy on you and bringing total delight with a meaningful gift.